The St Catharine's Girls' Choir is currently made up of 28 girls, aged between eight and fifteen (years four to ten), drawn from local schools. The choir meets twice a week - on Monday and Tuesday afternoons after school - and sings a service in chapel every Tuesday, as well as participating in special concerts. There are a small number of 'pre-probationers' (school year 3) who attend on Mondays only and do not ordinarily participate in services. is currently made up of 28 girls, aged between eight and fifteen (years four to ten), drawn from local schools. The choir meets twice a week - on Monday and Tuesday afternoons after school - and sings a service in chapel every Tuesday, as well as participating in special concerts. There are a small number of 'pre-probationers' (school year 3) who attend on Mondays only and do not ordinarily participate in services. The Girls' Choir is semi-independent of the mixed-voice student College Choir, though choristers leaving the choir at age 15 may, by audition, be invited to sing as a full member of the College Choir. Members of the Girls' Choir also receive regular tuition in music theory and reading and in vocal technique. The ethos of the choir differs from many other choirs of its type. St Catharine’s Girls’ Choir is not a school choir; nor is it limited to traditional Church repertoire. We are always looking at ways to expand the musical experience and vision of choir members, and this is reflected in the diversity of the choir’s activities. 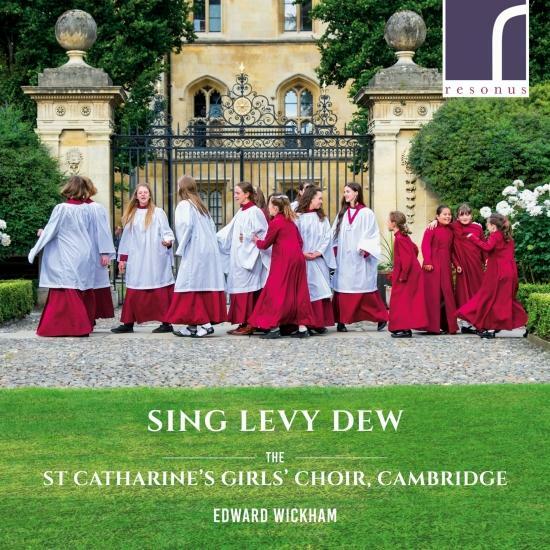 In its first nine years of existence, the choir has given performances in such distinguished venues as St Paul's Cathedral, St David's Hall, Cardiff and St John's, Smith Square, and has sung services in the Cathedrals of Ely, Lichfield and Gloucester. The choir has toured to Poland and Hungary, and are regularly asked to participate in major choral/orchestral works such as Bach's St Matthew Passion, Mahler's Third Symphony, Elgar's The Dream of Gerontius and Holst's The Planets. The girls have made several appearances on BBC Radio, including a special edition of Radio 3's The Choir with opera star Sarah Connolly as part of the celebrations marking International Womens' Day. In October 2015, Agatha Pethers, our Head Chorister, was named joint BBC Radio 2 Young Chorister of the Year in a final broadcast on Radio 2 from the Church of St Martin-in-the-Fields, London. In December of that year, the choir featured on the front cover of Gramophone magazine, to mark its first commercial CD release, Nova! Nova! on the Resonus label.